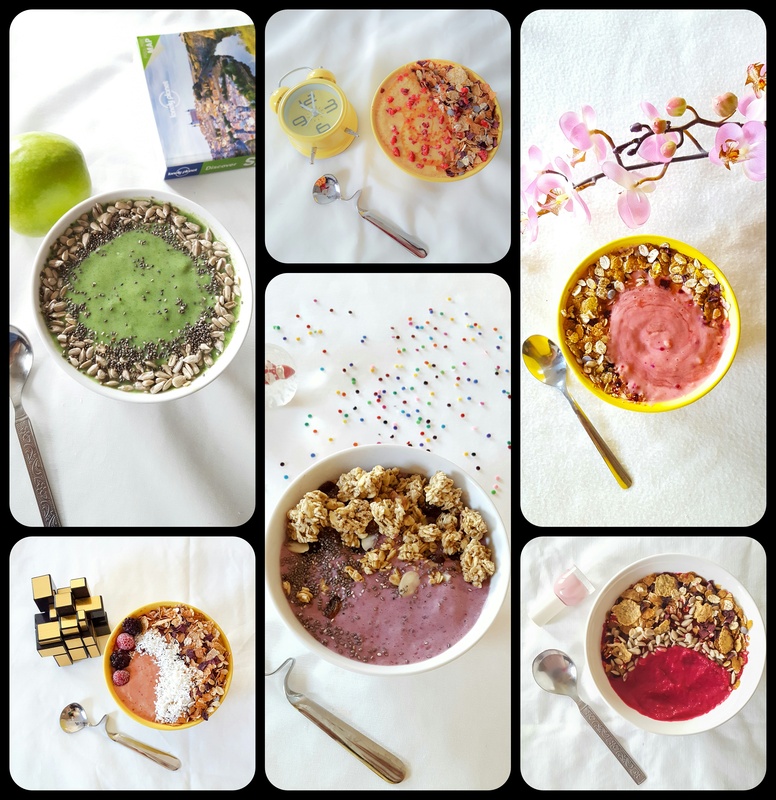 Smoothie Designs – Eat, Click, Travel and Repeat! I wanted to publish these smoothie designs since quite some months now. 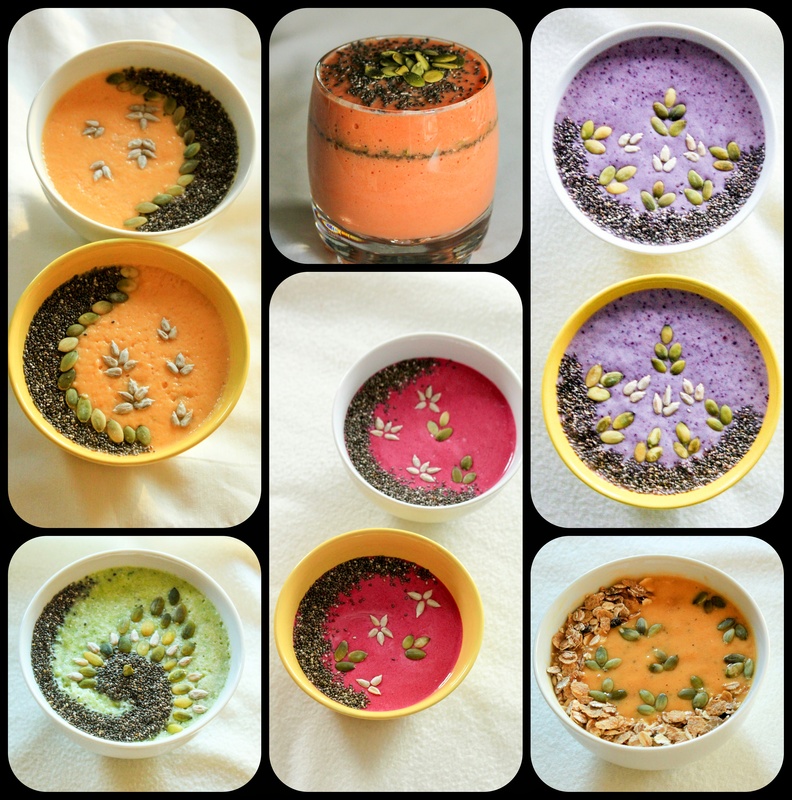 I have smoothie recipes on the blog with these designs, yet still many of them remain as some unpublished posts. I wonder if I will ever publish the recipes, but the smoothie pictures are just too good not to share hence had to put them on the blog. I thoroughly enjoy making these designs. 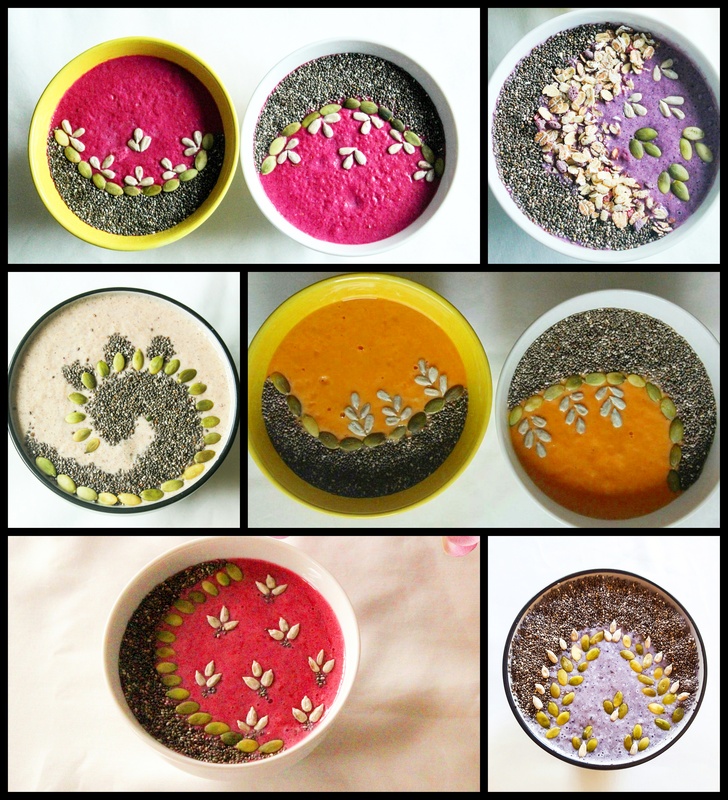 Smoothie bowls are a great canvas with variety of seeds to decorate. I usually had sunflower seeds, pumpkin seeds, chia seeds along with museli. Enjoy! Let me know how you find them. Please do write some comments about the designs. I would love some feedback.